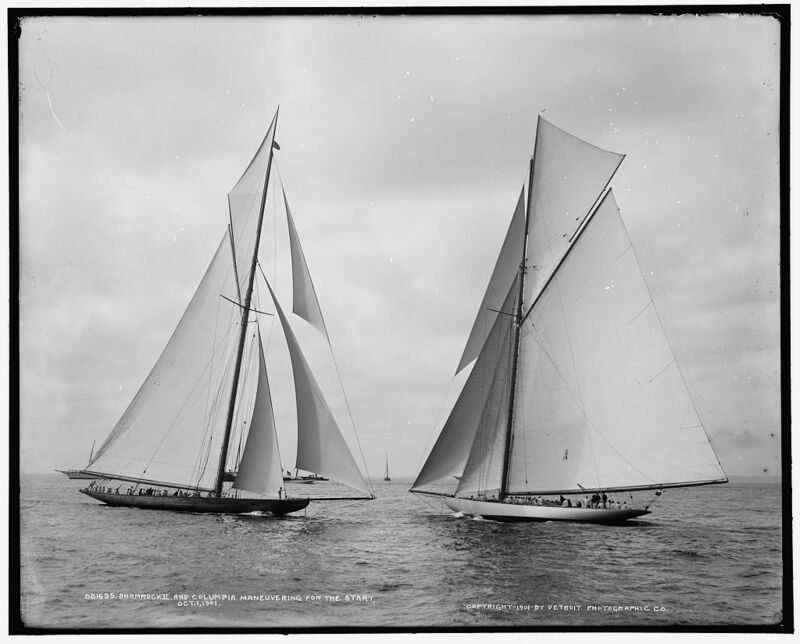 Document No 984: Shamrock II and Columbia maneuvering for the start, Oct. 1, 1901. Detroit Publishing Co. no. 021635.